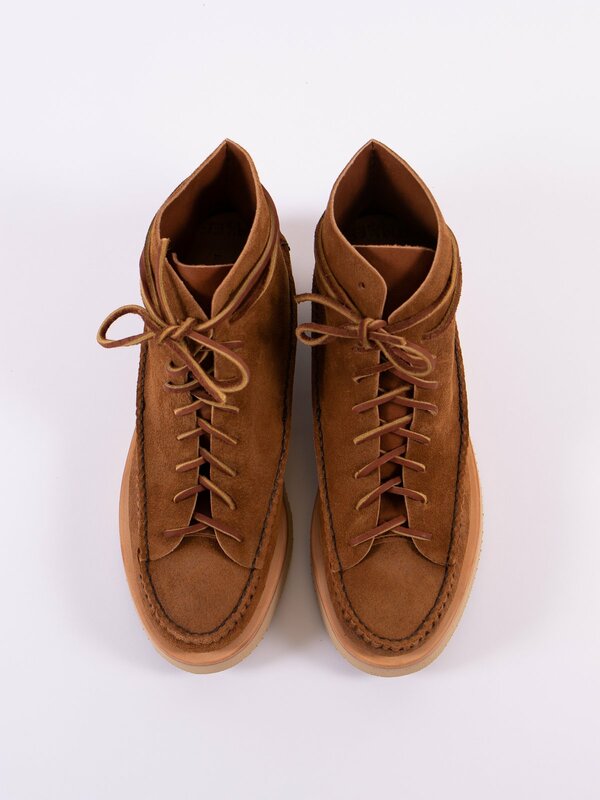 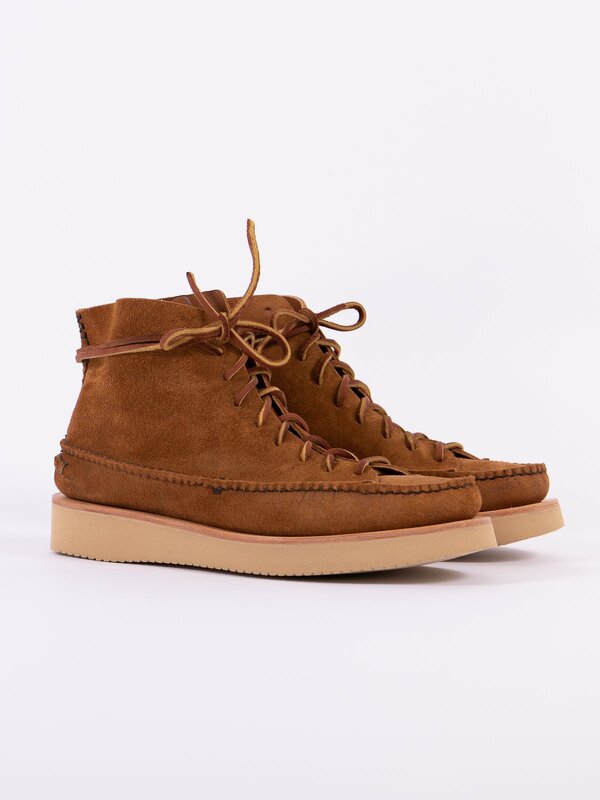 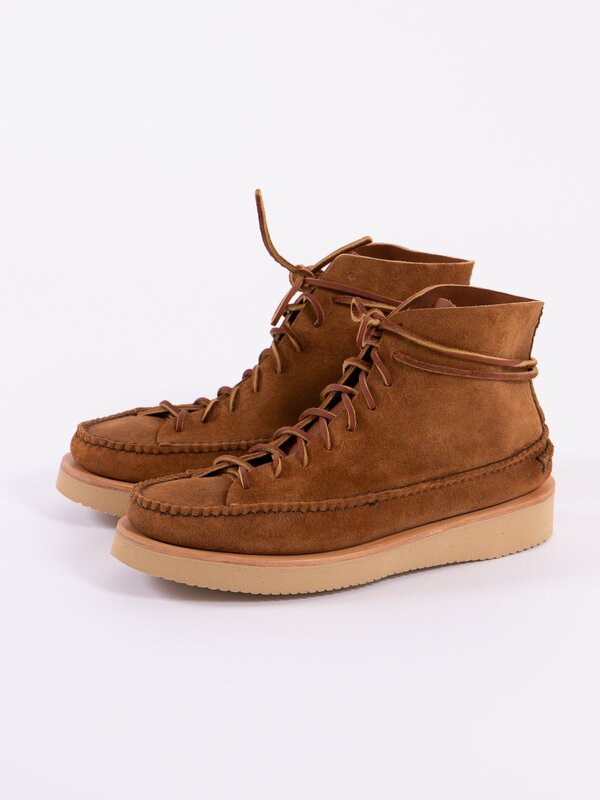 Golden Brown All Handsewn Sneaker Moc High Boot. 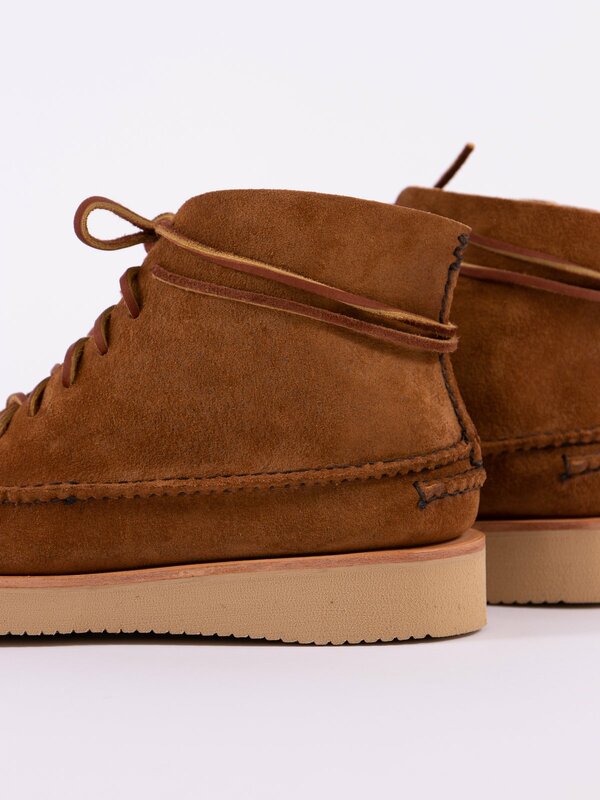 Suede upper with hand–sewn plug, overcast and heel. 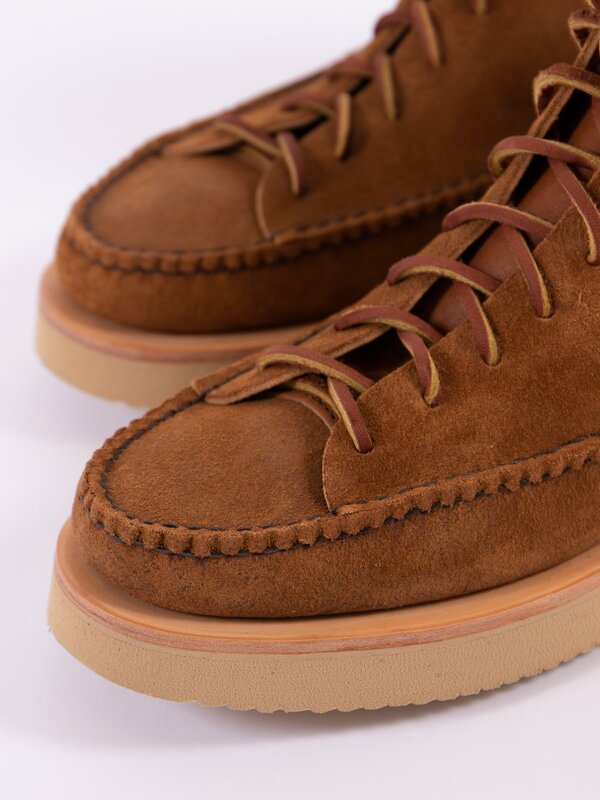 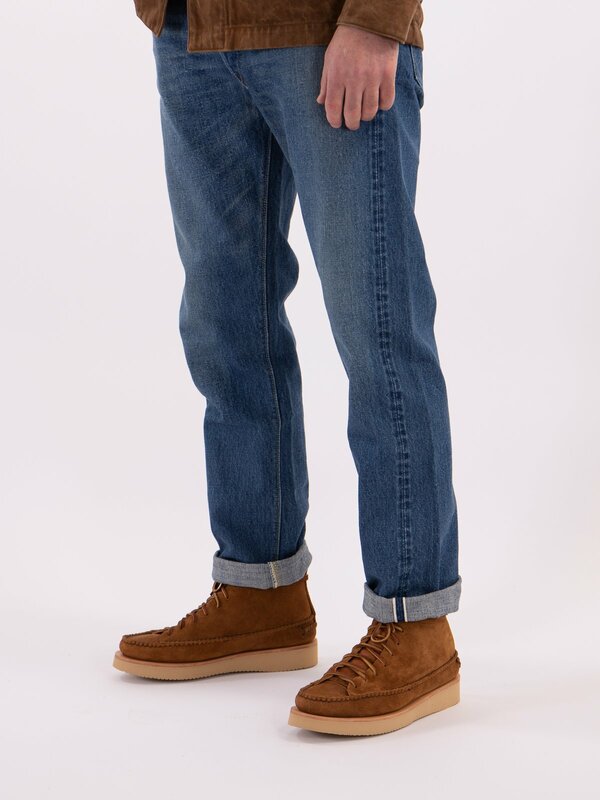 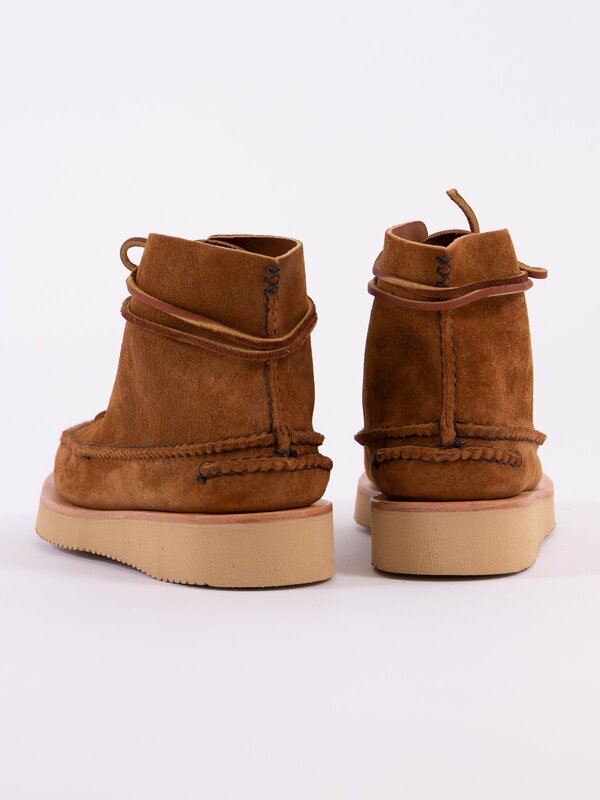 Genuine moccasin construction, leather tongue, leather insoles and a sand Vibram lightweight 2021 sole. 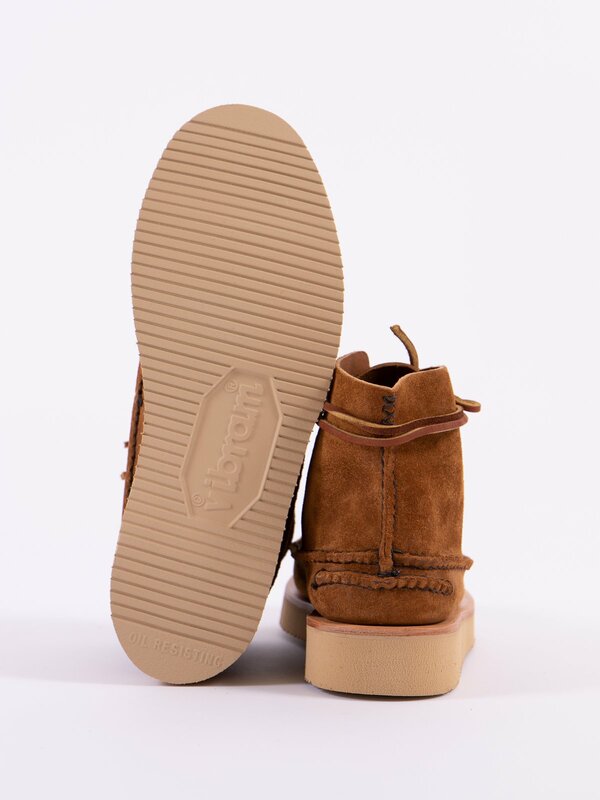 Width Fit = EE which equals a UK width of 6.